Liam rolled over from tummy to back for the first time today! We didn’t see it because we were preoccupied! 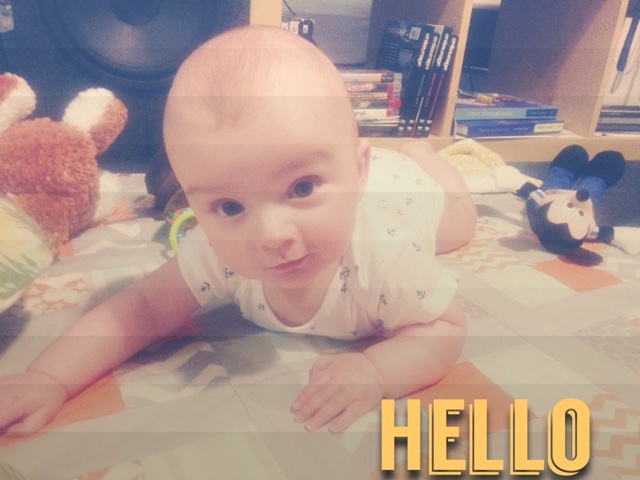 He is shy of 5 months so he has mastered rolling over! This coming month I think he will practice sitting up. Time is flying and this little cutie has learned so much in the past weeks. He is 21 weeks and little over 15 lbs.